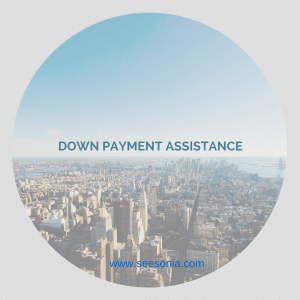 There are great options out there if you are looking for down payment assistance! The a couple of programs that I’d like to discuss the first one is the “First Home IL” program from IHDA (Illinois Housing Development Authority) The second one is the “MCC tax certificate” and the third program is “Down Payment Plus Program” from the FHLB (Federal home Loan Bank) funds. 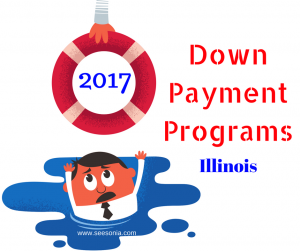 First the “First Home Illinois” program – it’s $7,500 in down payment assistance that is given to you for a 30 year mortgage fixed rate using FHA, USDA or a veterans loan. You must have not owned a home for over 3 years to be considered a first time home buyer. It must be your primary residence and you have to contribute $1,000 or 1% of purchase price which ever is greater. You can buy in the following countiesBoone, Cook, DeKalb, Fulton, Kane, Marion, McHenry, St. Clair, Will or Winnebago counties. The second program is the “Helping Hands” – which is $6,000 in down payment assistance that does NOT have to be paid back! The income limits are a little more stringent – you must be at or below the 80% AMI(area median income) for the county you live in. There are other ways to structure a transaction as well if you have limited funds -whether you qualify for down payment assistance or not – which is why it really makes a difference with the Realtor and lender you use – they can make sure you get the best deal for YOUR situation! The MCC program is a tax credit that is only available if you buy a home in the City of Chicago. This program plays a role in your income taxes a homebuyer would receive a MCC to reduce income taxes by an amount equal to 25 percent of the interest paid on a mortgage. The tax credit may be claimed each year the home buyer continues to live in a home financed under this program. You have to make sure your receive this certificate during the purchase of your home. It cannot be done after you close you MUST get the certificate prior to. You will also need your home inspector to sign off on the MCC document as well. For more information on this program you can go to City of Chicago Tax Program. Below is a video that explains more about this program with a loan officer Yale from Guaranteed Rate. 1) Apply for first-mortgage financing with a participating FHLBC member. 2) Provide an executed purchase contract. 3) Disclose current income sources and pending changes in income or employment status. Provide income verification documents as requested. 4) Contribute a minimum of $1,000 from personal funds toward the purchase of the home for DPP. 5) Complete a homebuyer counseling program prior to receiving grant funds. A retention agreement for the DPP grant to be recorded on the property. Counseling education must include comprehensive financial literacy education and information that alerts borrowers to potential predatory lending practices. The level of required counseling is based on the homebuyer’s credit score. Qualified borrowers may receive a grant for up to 6% of the total loan amount based on income. • Grant proceeds may be used for up to 100% of the home buyer’s cash to close. • Borrowers must purchase a home within the city limits. • Single-family homes, condominiums, town houses. • Annualized income up to $133,000. • Must contribute the lesser of one percent of the home purchase price or $1,000. • Minimum credit score of 620 to qualify. Remember that guidelines change on a daily basis and each situation is different. Whether you qualify or not will depend on your income, debt and credit score. Also NOT ALL banks work with down payment programs if you need any recommendations let me know. Looking for more information on how to buy a home in digestible pieces make sure to subscribe below to get weekly emails.